Isn't he a cutie! And NO, it's not too early to get started on your Christmas cards so go ahead if you want to. 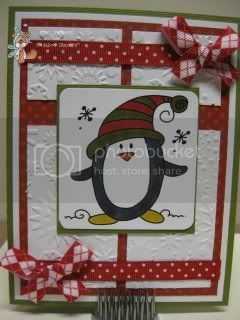 Use the sketch and make a card...link it up at the Catch the Bug blog for your chance to be a winner this week.